During the test I had forgotten I had two 15db pads (total of 30db) on the IF going into the mixer. Since the signal was so weak with that, on the RF output side, I added a 0-500 MHz 1.5W RF amp before the final Frequency Doubler. Which worked. However, after this video I removed the 30db of attenuation, and the RF amp, and it was quite strong. Still this is a decent demo. I also show how the almost raunchy 25 MHz TCXO. I hate TCXO's. My plan is to remove it, and use a 25 MHz GPSDO and that issue will be gone. NOBODY likes a drifty beacon. While it adds expense to the project, it's something I can test with a GPSDO I have on hand...once I've verified it resolves the problem, I'll order another (since I already use my current GPSDO in other projects). 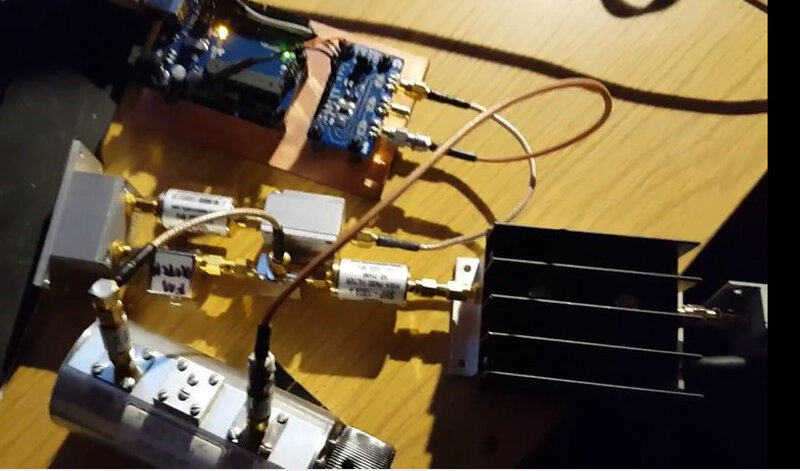 Anyway here's the video of today's 902 MHz Beacon test.